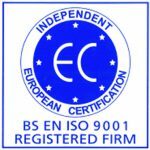 Branded merchandise can be a minefield of issues. 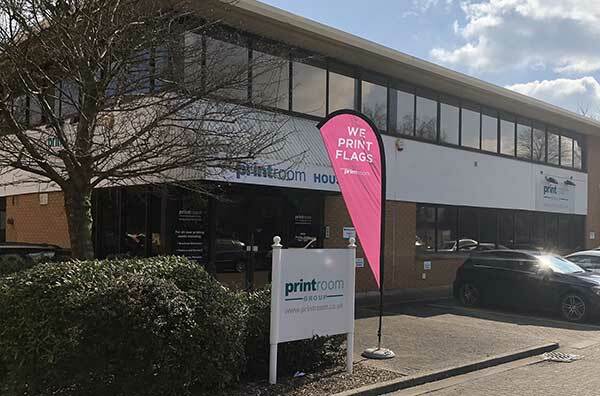 If you are planning an exhibition in 2019, you will find there are so many products that can be branded that picking the right ones can be very time-consuming. Based on some of the products we have supplied in the event and trade show season, we have listed some ideas below to get you thinking about what merchandise you may want to explore for your upcoming event. 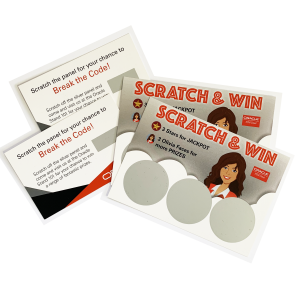 Personalised scratch cards are a great ice breaker for your sales team to use at your stand. The cards can be branded exactly how you want them, with as many losers and winners as you need for your event. You can have a high percentage of winners, giving out lower cost prizes like branded pens, sweets or notepads, or you could just have one or two winning cards with larger, more expensive prizes. 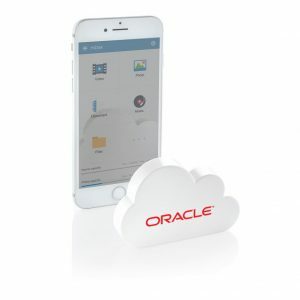 With everything digital these days, cloud storage devices are an excellent giveaway. More of a high-end product, these devices allow multiple users to download an app where files can be uploaded to one device, sharing files, photos and contacts. The units come in boxes and can be branded with your message and logo. Probably the most effective giveaways at the moment. Everyone loves them, and everyone needs them. 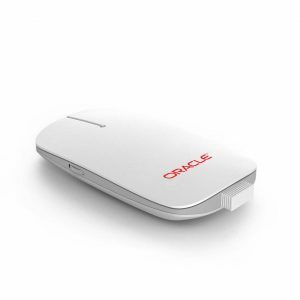 From large power banks that will charge four devices at a time, to smaller, cheaper and more cost-effective devices, all are extremely popular at the moment. 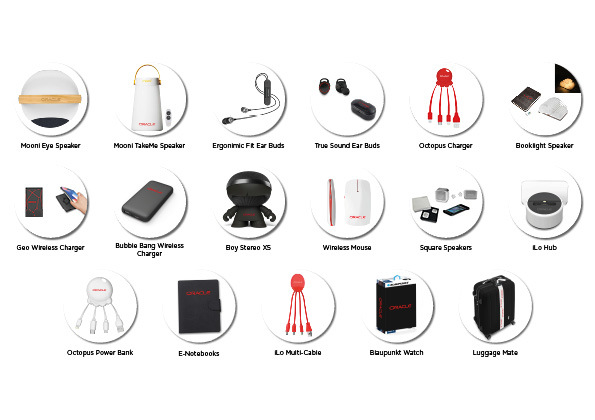 Branded with your own logo and available in many different shapes and sizes, power banks are kept by your clients and used multiple times, not thrown away after the initial use. Another new item we are providing at the moment is the desktop phone charger. If your target audience is office based, this is a very effective giveaway. Some of the latest phone chargers are really smart – we produced some for an event in Europe and the logo lights up onto a clear plastic panel. The charging unit holds your phone upright, so acts as a phone holder as well as a charger, allowing your customer to keep abreast of any tweets and other notifications whilst working at their PC. 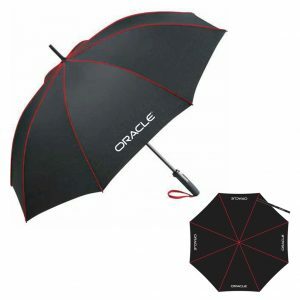 Not the most technical item but still very popular, branded umbrellas are usually welcomed at a trade show (especially during wet weather!). They can be printed on either two panels or all panels. At the back end of last year, we supplied printed boxes with the clients’ colours, strapline and logo to put the umbrellas in. Smart umbrellas are also something that we can see being big this year. The smart umbrellas include an anti-lost tracker, weather forecast app, call notifications and also Find My Phone software. They look pretty good too. Smart backpacks are a really good product for 2019 too. 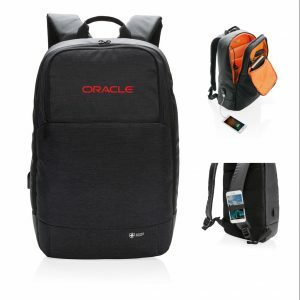 The backpacks are a modern design and can be branded with your logo. They allow you to hold your phone into the strap, leaving your hands free whilst traveling. The backpacks also have a charging cable allowing a portable charger to be carried inside with a lead plugging into your phone directly from the bag. A printed wheel of fortune can be a fun way to get people to your stand. It’s basically a printed wheel that spins, and if the coloured segment on the wheel lands on the arrow then your clients get to win one of the giveaways. The wheel can be split into different segments to allow a varied number of prizes. The wheels can also be used for multiple events and are easy to transport. A new mouse on the market, this is well built, stylish and also wireless. The logo has a light behind it and is etched into the front of the mouse. With a contrasting colour on the edge, this looks really good with the logo that lights up when the mouse is charged up. An A4 poster holder that is housed in acrylic and sat on a base with four charging ports inside. This is great for meeting areas and restaurants. The poster holder displays a poster sandwiched between two pieces of acrylic. The charging unit can either be plugged in or charged up and freestanding. This can be used as a menu holder too. 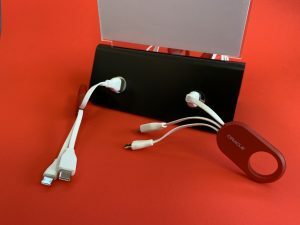 With the charging ports, this poster holder attracts visitors to charge their phone, and whilst charging they will be looking at the message displayed on your poster.